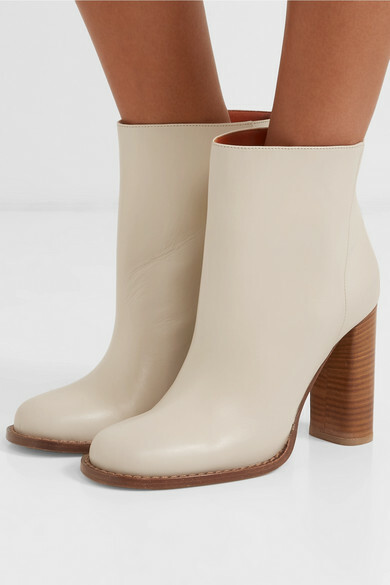 Just because fall is arriving doesn't mean you need to be limited to black or gray ankle boots – cream is a fresh and cool hue for footwear this season. 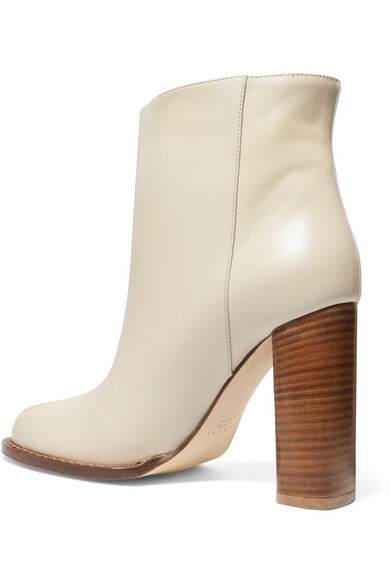 Marni's pair has been made in Italy from smooth leather and is set on a 100mm stacked wooden heel. 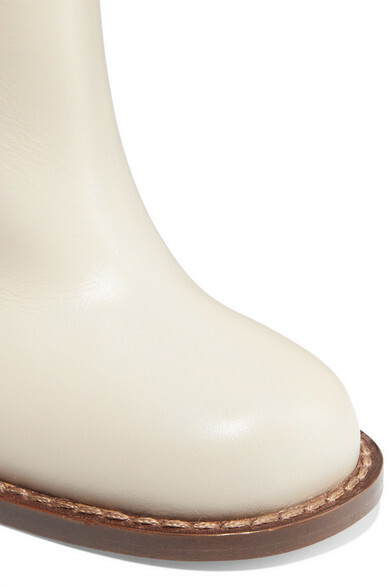 They're cut to hit just above the ankle, so style yours with cropped jeans or midi skirts. 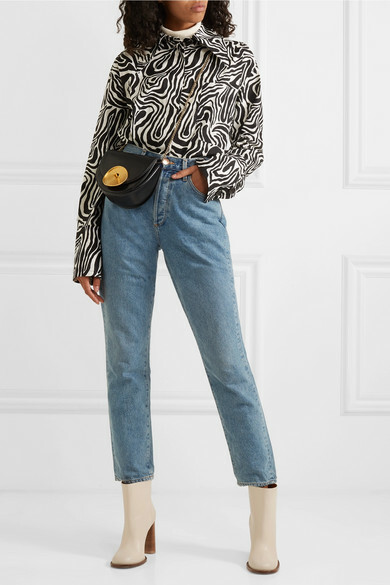 Shown here with: Marni Shirt, Goldsign Top, Goldsign Jeans, Marni Bag.